AcuRite's Lightning Detector provides lightning warnings for cloud-to-ground, cloud-to-cloud and intra-cloud lightning strikes within a 25 mile range. 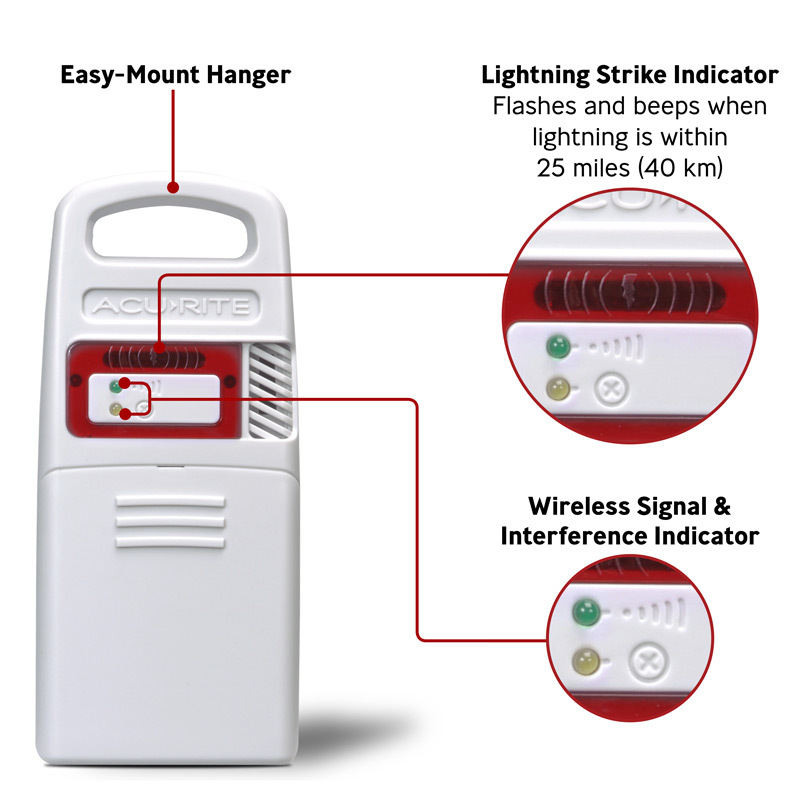 The detector notifies you with a loud alarm and flashing red LED light when lightning is within range. The lightning detector features enhanced interference rejection capabilities to prevent false lightning detection. When paired with a compatible digital display, the detector provides temperature and humidity with its built-in thermometer and hygrometer. The sensor features a compact size, weather-resistant design and integrated mounting options. Lightning Detector for use with models: 01021, 01022, 01024, 02080, 06046, 06047, 01535.